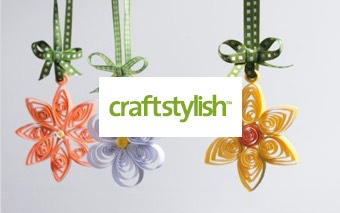 Give lightweight structure to garments and accessories with these easy methods. 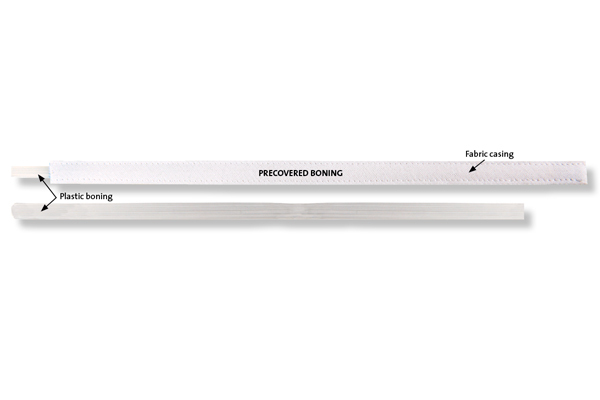 Boning can give garments lightweight support and structure. 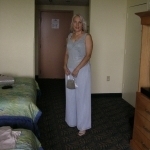 It also keeps embellishment details, such as ruching, in place or adds structure to accessories, such as hats or bags. 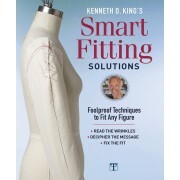 Think outside the corset box, and learn why boning is great for all kinds of garments and accessories. The two most readily available boning products found in sewing stores are also the easiest to apply. 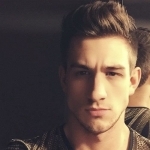 They provide some structure but are not appropriate for giving the body heavy shaping. 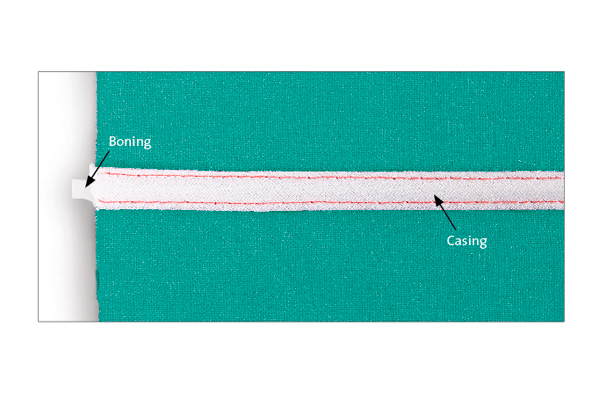 The most available boning is 1⁄4-inch-wide plastic wrapped in a fabric casing (sometimes called Featherlite). While it doesn’t provide much support to the body, it serves to hold fabric in place and give some structure. It is generally used vertically in lightweight bodices and dresses or knit garments. 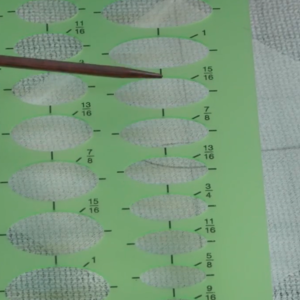 A common installation method is to remove the boning from its casing, edgestitch the casing to the fabric layer underneath, and then reinsert the boning. 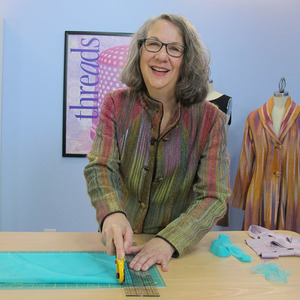 An alternative method is to make channels or casings from the garment’s fabric and insert the boning. 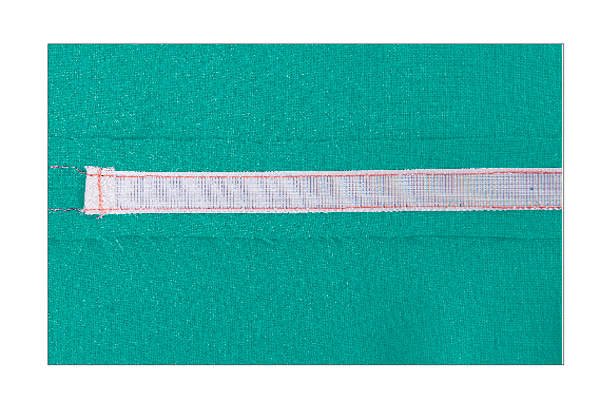 Rigilene boning is made of woven nylon rods and can be stitched directly to fabric, without a casing. 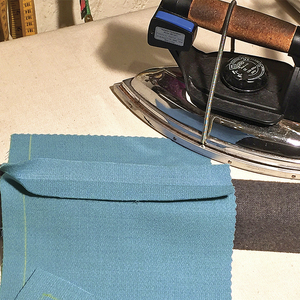 It is available in widths from 1⁄4 inch to 3⁄4 inch, and comes rolled; flatten it with an iron before stitching. This boning type is commonly used in strapless ready-to-wear formalwear. 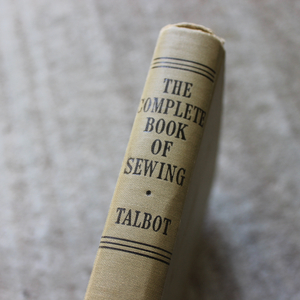 Generally, it is stitched onto a firm cotton underlining that is then sewn into the gown. 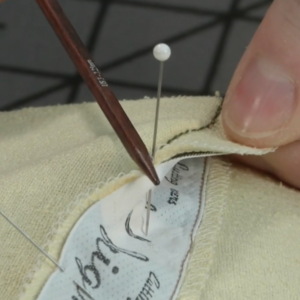 It can be stitched directly to the fashion fabric, but that is not a common method. I’ve seen as many as 19 pieces applied vertically on a bodice starting from the top edge through the waist and ending at the high hip. Rigilene supports the bodice structure and gives light shape to the body. Pad the boning ends with tightly woven cotton squares to prevent the rods from poking out. The cut ends can also be melted with a match to smooth them, but it’s a bit messy. 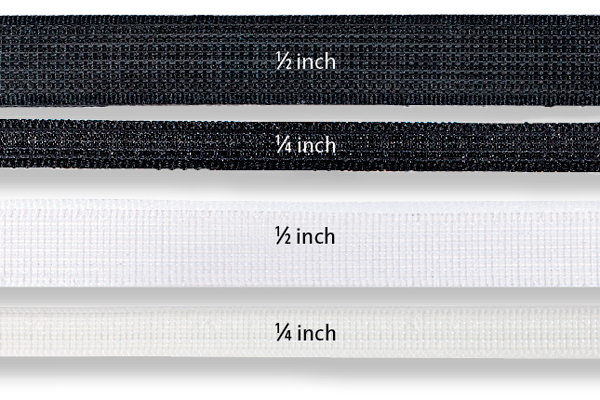 The narrow, 1⁄4-inch-wide Rigilene can be shaped into an underwire for light, bralike support. But, when used horizontally across the bust apex, it can give an unnatural, stiff shape. 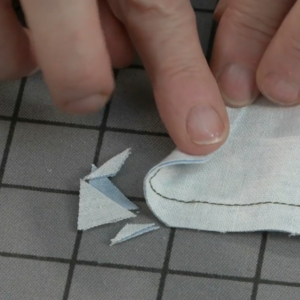 Use firm, tightly woven fabric for this installation method. Stitch the casing to the fabric along both edges, creating a channel wide enough for the boning to slide into and narrow enough to keep the boning from twisting in the casing. 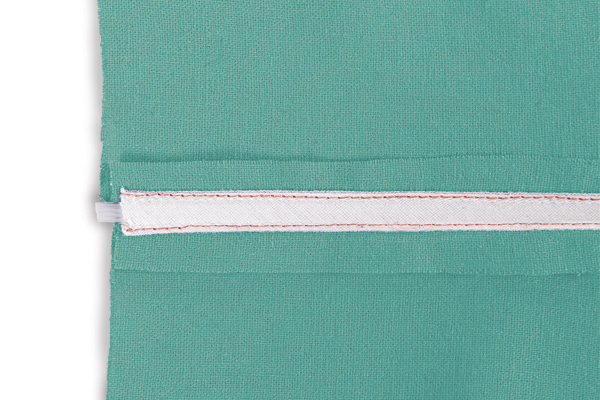 Machine-stitch across one casing end before inserting the boning. 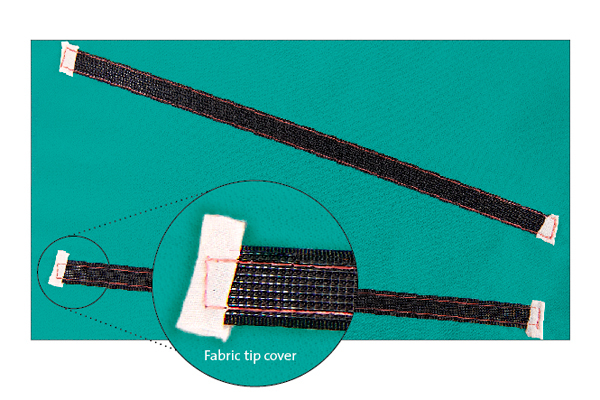 Hand- or machine-stitch the opposite end after the boning is inserted. 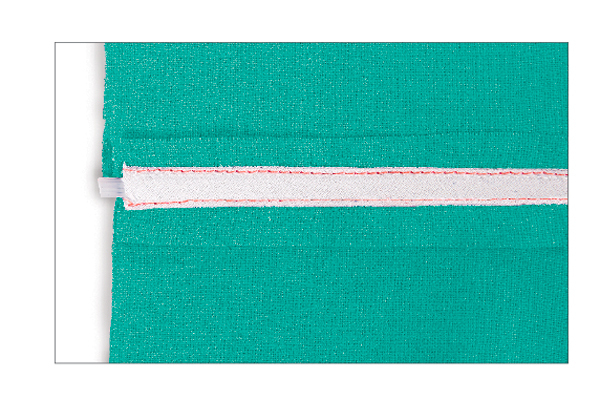 Rigilene is the only boning that can be sewn directly to fabric. 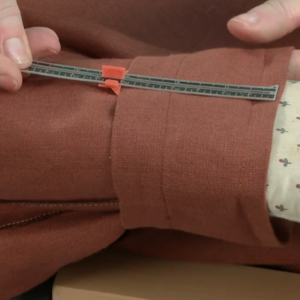 It has a border on each long edge to sew through. 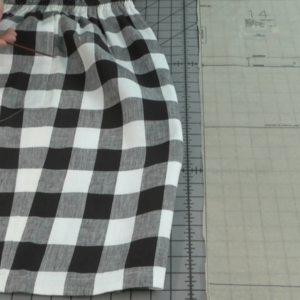 It is best when sewn flat and not into a curved seam. 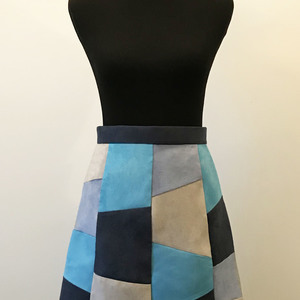 However it can be sewn on an angle, such as from the top edge of a strapless dress to or through the waistline and pointing toward the center front. 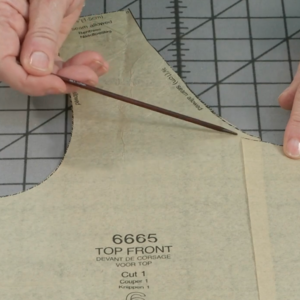 Sewn in at the side bust, boning helps keep bust fullness from migrating into the armpit. 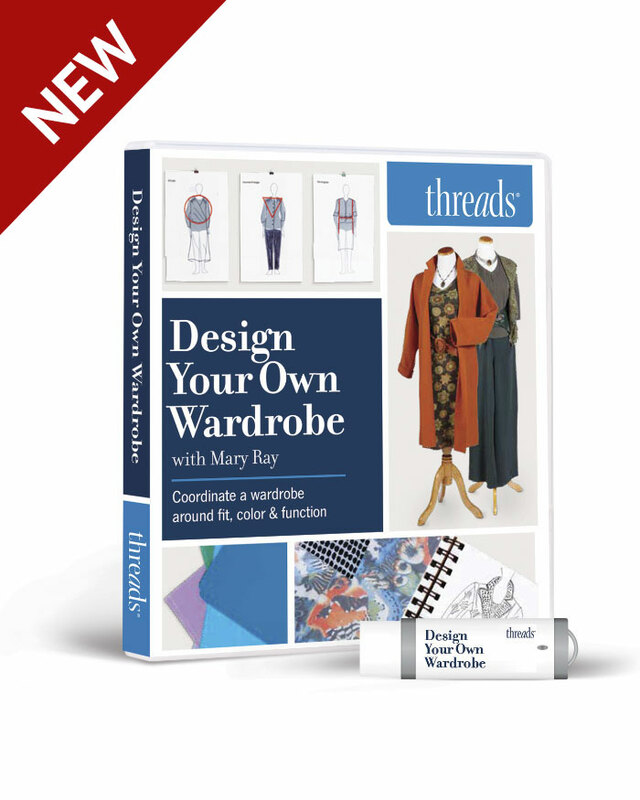 Finish the boning ends by wrapping them with a firmly woven cotton fabric as you sew them. Rigilene or precovered boning works for this method. 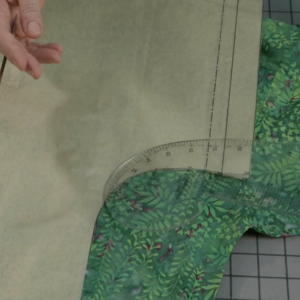 Sew either Rigilene or the boning casing to the pressed-open side seam allowance by centering it over the seam and stitching down one side at a time without catching the garment face. 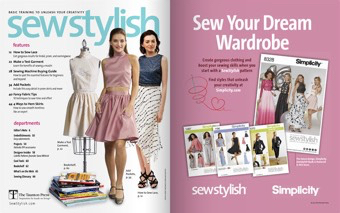 Excerpted from “Fundamentals: Easy-to-sew boning,” Threads #159, Feb./March 2012. Thank you for this article, which I have but scanned. Given that serious seamstresses change their sewing machine needles for each new project I am always left wondering "which needle does one use when sewing through rigilene"? It seems to me that a leather or denim needle might be in order or does one simply have a needle for the project and a needle for the rigilene? I work both at home and at a shop as a contractor. I use whatever needle is currently on the machine for boning. I do change needles frequently though. I use whatever size needle my garment calls for when sewing rigilene boning; however, after I use it sew boning I throw it away. The needle is usually jagged and more than likely will mar the fine fabrics so I always change the needle when I use it to see boning! As a costume professionnal I have used many different kinds of boning over the last 30 years. Any time I put rigilene or poly boning into a garment I cut the end into a curve and then I melt the ends together over a flame. This prevents the ends from poking out of the casing and poking the wearer. I have had to alter many costumes that people made without finishing the tip of the bones and I've had to remove these bones and replace them with properly finished bones. I would never put in spiral or steel bone without properly finishing the tips. It would be helpful for your readers to have this information before they end up getting poked by a piece of boning. Thank you for the article and all the added information from the fine sewers. Now you have this article, LOL. I knitted a hat, and did not like the fact that the top would not stay up, so I go to my local fabric store. I was lucky they had the ridgeline in black, it was the first time I have ever used boning! It was so easy to use. I have always been afraid to use boning before, not now! My sister-in-law is a costume designer, and she taught me to put in steel boning for much more predictable support, especially in very structured garments like wedding dresses. I like it so much that I will rip out poly boning from a garment that someone else made, and replace it with steel. 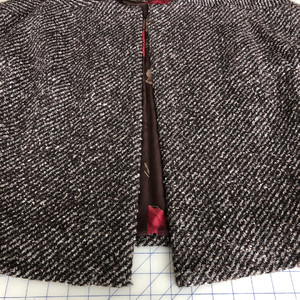 Even with "finishing" the ends, they can wear through the fabric over time, so I agree with the advice to add a heavier fabric. This is also true for underwires in bras that will see a lot of use. Question for shoensox: the steel boning I use is all in pre-cut lengths. If you are cutting steel boning down to size, what do you do to finish the ends? THANKS. Great article! I love using boning, but have a difficult time finding it locally. Steel boning has not been on fabric store shelves in our area since the mid 60's and plastic boning is quite rare. I recently ran across some horsehair braid in the clearance bin which I scooped up for my "rare notions" stash. I would do the same thing if I ever found boning in the clearance bin. 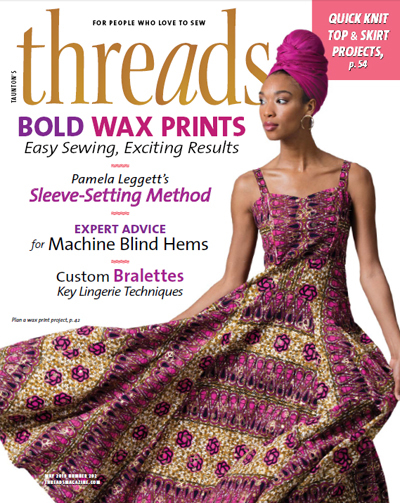 Many sewers today don't know what boning and horsehair braid are or how to use them. Sources would be appreciated. tarsier, you can go to a hardware store and get tool dip, which is used to create a rubbery-plasticy coating as a handle on tools. If you use tin-snips and a grinder (i've used just sand paper before) to round the edge of the steel bone, then dip the very end in the tool-dip, it creates a smooth edge just like the original. Ideally, you want the dip to be white, but in my limited experience buying it, there usually aren't choices. Hopefully your casing will be thick enough to hide any bright hardware store color. To dry, I've taped bones off the edge of a cardboard box or stuck them with magnets to a board, and let them air dry overnight. Good luck! Where would we be without boning! My favorite place in N.Y. That sold boning supplies went out of business. :( You could try Richard the Thread. They have the ends to cap off steel boning. I Think they also sell tipping fluid and other supplies. I haven't ordered from them but a costumer told me about them as a good source. I don't know if they have any minimums for ordering. Rigelene won't last! Body heat and time will break down the structure. 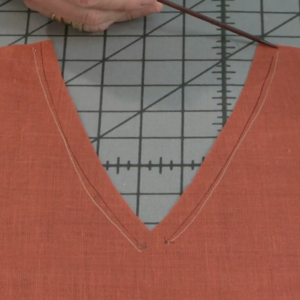 If you're putting together a garment you want to last, use steel boning. 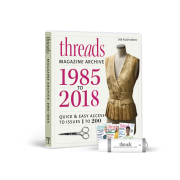 Richard the Thread and Tutu.com both carry steel boning and the tips for finishing the ends, as well as pre-cut and finished lengths. Steinlauf &Stoller on 39th Street in Manhattan has boning, caps etc. They have been there forever! They are within a block or two of B&J, Paron, & Mood..heaven! I have one question for Patricia; is there a reason you did not mention the steel boning? Just thought you might have a better idea? Thawnks, Also years ago when I first started making costumes for the studio where my daughter took ballet; they used bias tape as the "boning tape" maybe it was easier to get, or less expensive; but after I went to tutu school at tutu.com I have used the boning tape that I can get from them. It difficult to apply flame ot a finished garment. Do you have any suggestions to finish plastic boning that is already poking out.